Enjoy a relaxed and more varied walking holiday only a few miles from the higher and more demanding alpine Tatra mountains. Our walks include an English guide who will take you through sunny meadows, tranquil forests and along beautiful paths high above crystal clear rivers. You will experience deep ravines, hidden trails and walkways across waterfalls. We adopt an easy pace through this picturesque scenery so you'll have plenty of time to admire the breathtaking views. Sometimes we take a cable car ride up or enjoy a raft trip down. Time is also given to get to know more of the local history and architecture unique to this region. 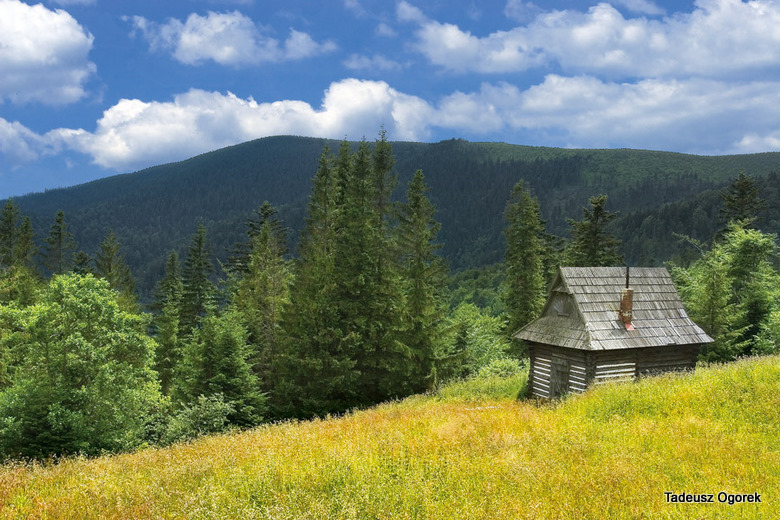 We are based at Piwniczna Zdroj which is located on the border between Poland and Slovakia in the heart of the Polish Carpathian mountains. Our daily walks are of course optional, rest days can be taken where you can just paddle in the warm waters of the river Poprad or visit other nearby spa towns and health resorts. We also organize occasional evening trips to local towns when festivals and cultural events are taking place. In order to keep down the cost of your holiday we offer free transfers and a flexible booking system which allows you to make full use of the numerous cut price airlines serving Krakow. We provide a choice between two carefully balanced eight day itineraries or perhaps a holiday tailored to your needs. For anyone already visiting Krakow we can offer shorter breaks [minimum 4 days]. Accommodation including breakfast and an evening meal is in a house run by a friendly English speaking Dutch couple, a packed lunch will also be provided. Please see our gallery and itinerary pages for more information of the places you can visit with us, the calendar for dates and availability and the locale and location pages where you will find a more detailed description of the area and our accommodation.